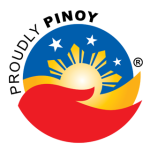 Brotherhood of Filipino Gamers [BFG] is a professional gaming organization formed in 2013 to serve the rapidly growing Filipino online gaming community. BFG was created with the main aims of being open, fair, and fun! we don’t cheat and more importantly we fight fair! Feel free to explore our website for more information about Clan BFG. Apply for a BFG Membership with our Online Membership Application .